Today will be a nice post for rookies and every day Delta flyers alike. Free upgrades are always nice, but there is a ton that can affect your ability to score these coveted seats. Some of this is very simple to understand; some of it take a bit to wrap you head around and I will try to make it as simple as possible to follow. The basic rule is that if you are any level of medallion, on most paid for tickets (will touch more on free tickets later) you are eligible to be on the upgrade list. Once you check-in for a trip, you will be able to see on the phone app, or on Delta.com, or on the screens at the gate, where you are on the upgrade list and how many seats are open in 1st class. Watching where you are on this list can be like seeing a football, after just having kicked the ball, and seeing if the pig skin will just clear the uprights for the game winning points. The worst thing is the ball hitting the upright and just missing the goal wide. Same thing when you are say #5 on the list with 5 seats open when at the last second you move to #6. Grrrr we all hate that. Then what are the basics that can affect your chance for an upgrade? The biggest trump card is status. Diamonds are top of the heap. Then you work your way down to PM, GM & FO’s. Now it is not JUST status, but what class of service you are in. CWSI.net has a perfect tool HERE you can plug in and see just how much it will affect your move up and over others. To keep this simple, LUT, the lowest and most common discounted coach class tickets, get you the worst chance for an upgrade. Just moving to K, one step above LUT, will have a HUGE impact on your ability to upgrade over those with the same status as you. The higher your fare class the better your chance. Then there is also the ultimate tiebreaker, the DELTA AMEX Reserve card. If you and I both have say an “L” class ticket, both are Platinum Medallion, and I have my Reserve card, I get the upgrade and you get coach! If all else is totally equal, it is whoever purchased the ticket first that gets the upgrade. 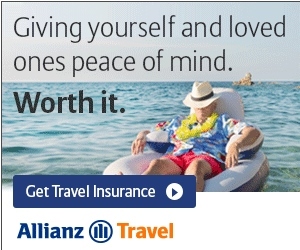 What about if you are say a Gold Medallion and you book a ticket for you and your wife on the same itinerary. Can you both get an upgrade? Yes, but the first thing that MUST happen is she must also have a Skymiles number. Never, ever, fly Delta without having a Skymiles number! Period. As a GOLD, normally you could clear 3 days out. With a companion, you drop down to 1 day or at the gate. If you are NOT on the same itinerary, you can ask at the airport for you both to be upgraded (on the same itinerary you can just do it on Delta.com). Upgrades are also processed differently depending on your status level. DM & PM 5+ days out. GM 3 and FO is 1 day. If you fail to get the upgrade e-mail notice, gosh I love those, you will have to wait and hope to get it at the gate. There is a common myth that you lose your place on the upgrade list if you board the plane. I can tell you from personal experience, a good GA will come onboard to upgrade you if an upgrade clears and you are #1 on the list. Skymiles upgrades, can you get them, sure but not for companions unless you both are GM+ then you will clear at the lowest level of medallion status. So a DM would clear at the lower level. Also keep in mind FO’s do not get skymiles upgrades so keep that in mind as well (time to work on upgrading your status). Where’s the “tool” on the CWSI.net website (paragraph 3)? 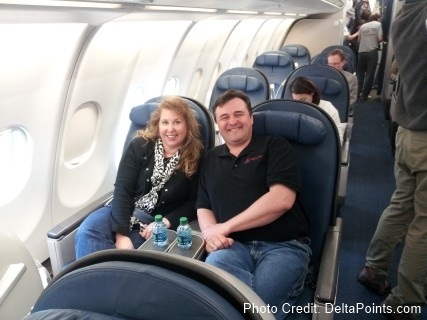 So what’s your take on Delta pre-selling upgrades at booking time for as low as $39? Unless they just don’t sell at all, doesn’t this pretty much eliminate status based upgrades as we know them? A. When you make your reservation and provide your SkyMiles # at delta.com, over the phone, at the airport, or through a travel agent, members will receive an automatic complimentary upgrade request. I did not see such a request when I recently booked, nor is it in my receipt from Delta. From my reservation site at Delta, I see that that one of my legs is “Upgrade Eligible” and another is “Not Upgrade Eligible”. For the former, am I “already” in the upgrade queue, or do I need to get “form” and request a complimentary upgrade? Bottom line: what is the actual process for requesting complimentary upgrades? @Bill G – Delta only sells upgrades once all medallions have cleared. Loyal Delta flyers should also know that complimentary medallion upgrades are NOT available when you are flying as a part of a package booked through Delta Vacations. It’s not a myth. I have cleared an upgrade as silver medallion when I was zillionth on the list simply because I waited patiently by the podium. A confirmed F no-showed, I was the only medallion unboarded, so the upgrade went to me. No longer so, Renee. They are pre-selling them at booking time! I will forward e-mail indicating this to you. @Bill – limited plus some flights 1st is not much more than coach. Different from at gate sales. So you call this “Rookie Wednesday”, and I’d consider myself quite a bit above rookie, but for the life of me I can’t figure out how “FO” stands for Silver Medallion! I even looked at FlyerTalk’s glossary. It does indeed list FO, and confirms that it stands for “Delta Silver Medallion”. How? In what language? Thanks! @Ken – most say from NWA days flying orchid status and sm stands for skymiles. I think another message I’d pass on to rookies is that if you fly at peak times to major cities from DL hubs, and are not at least Platinum, you will not be upgraded. My upgrade percentage has dropped from about 90% as a NWA Gold Elite in 2009 to roughly 40% as a DL PM in 2012. Very little has changed about how or when I travel, except that I am clearly in competition with more people for upgrades. It seems like midday travel is the best way to raise your upgrade rate. Day of week and destination don’t seem to matter all that much, though purely leisure destinations do seem to clear more readily. I am frequently one place shy of the last upgrade, which makes me wonder about paying slightly higher fares, but there is really no way to know if that extra $50 will buy you up front or just be money down the drain. FO – stands for Flying Orchid as is meant to represented silvers. A term generated in the 60s I believe. I have a rookie question and I am hoping someone can give me some advice. I have 122K MQMs right now (90K from flights) and am wondering if it is better to leave ~47K for rollover or try to find a way to get to Diamond medallion? I’m guessing it depends how much I travel next year….I don’t plan to travel quite as much in future years (maybe 40-50K per year). Most of my travel is international. Is there are popular/correct answer to this? Thank you for your help! Hi Renee. I thought fare class trumps medallion status? Cwsi shows medallion status is first, so diamond with a low fare class still gets upgraded before platinum with higher fare class? Thanks! @winston – as you see DM trumps most of us! What about when the offer you to request upgrade (at booking) to Comfort+ and/or First Class? Should you check only 1 or both to improve your shot at a upgrade to something?